Honey Senpai. Cute >.<. Wallpaper and background images in the Ouran High School Host Club club tagged: club host ouran ohshc high school mitsukuni haninozuka honey honey-senpai. This Ouran High School Host Club photo might contain anime, comic kitabu, manga, cartoon, and mkono. 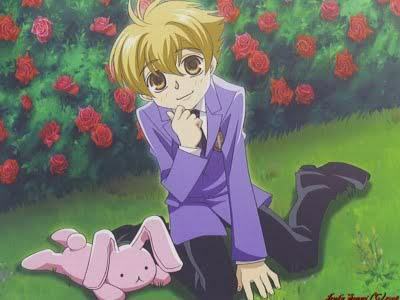 ouran high school host club..
OHSHC Episode 6 - The Grade School Host Is The Naughty Type! Who's Your Ouran High School Host? ?